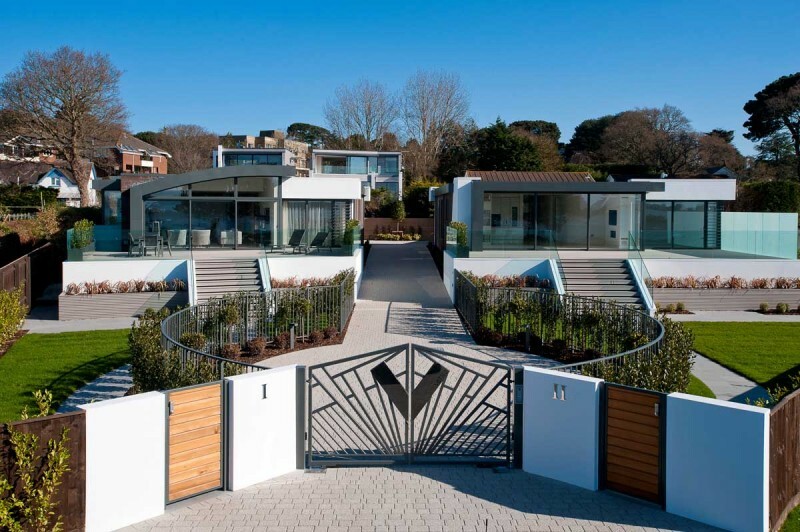 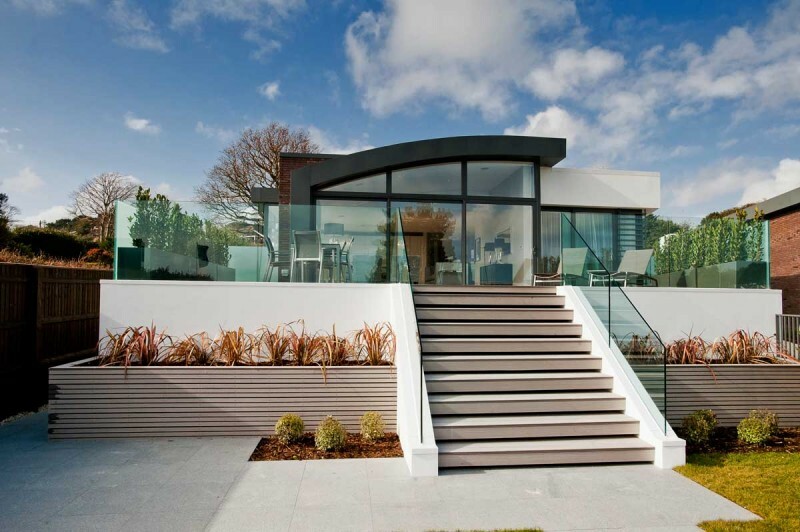 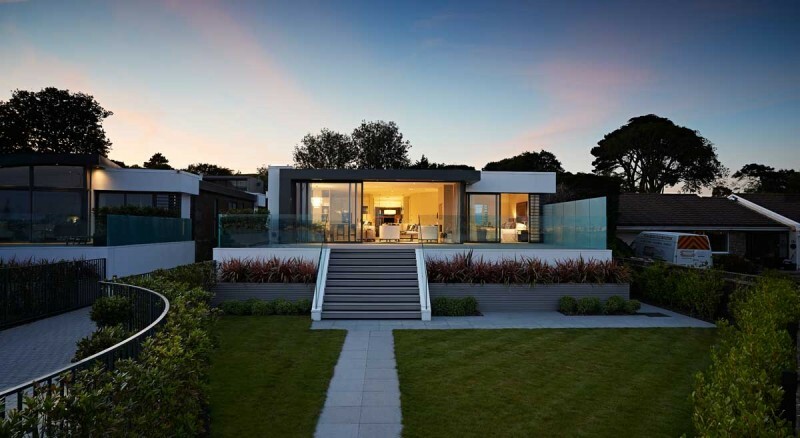 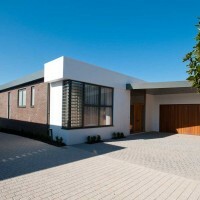 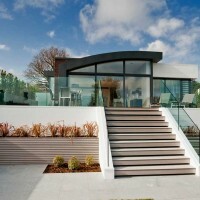 David James Architects & Associates were chosen by developers Towncourt Homes Limited to design two single level homes, Vetro I & II, located in Sandbanks, Poole. 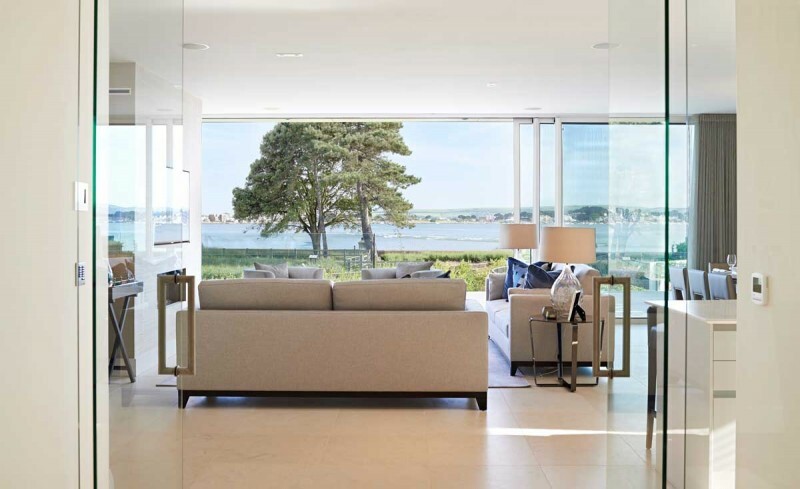 The style of architecture celebrates simple, refined design, using open plan layouts to maximise living spaces and utilise the fabulous views of the harbour. 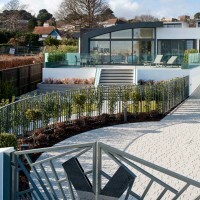 The two houses are set back from the road and are raised two meters above the existing ground levels, thus ensuring a unique elevated position to enjoy views of Poole Harbour and Brownsea Island. 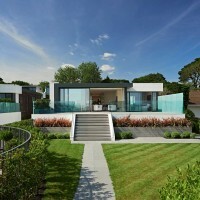 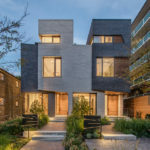 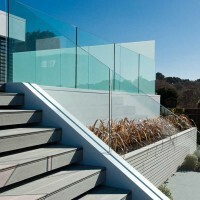 These are particularly exceptional from the outdoor terrace, lounge, dining, kitchen and master bedroom. 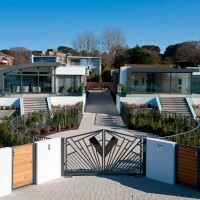 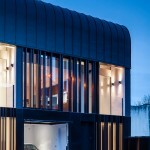 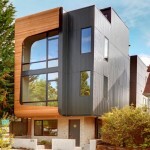 Both Vetro I & II have three generous bedrooms, all with en-suite bathrooms, a study and a spacious connection of open plan living, kitchen and dining room, together with a separate utility room.